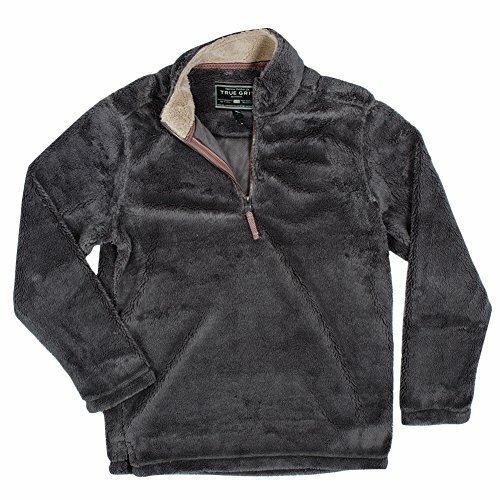 True Grit Size Chart Keep cozy and warm this season with the Pebble Pile Pullover. Pullover sweater is crafted from a soft pile knit. Stand collar with contrast interior. Long sleeves. Zip placket front with pull. Half-moon yoke. Straight hem. 100% polyester. Machine wash, tumble dry. Imported. Measurements: Length: 30 in Product measurements were taken using size MD. Please note that measurements may vary by size. Keep cozy and warm this season with the Pebble Pile Pullover. Long sleeves. Zip placket front with pull. Half-moon yoke. Straight hem. 100% polyester. Machine wash, tumble dry. Imported. Measurements: Length: 30 in Product measurements were taken using size MD. Please note that measurements may vary by size.